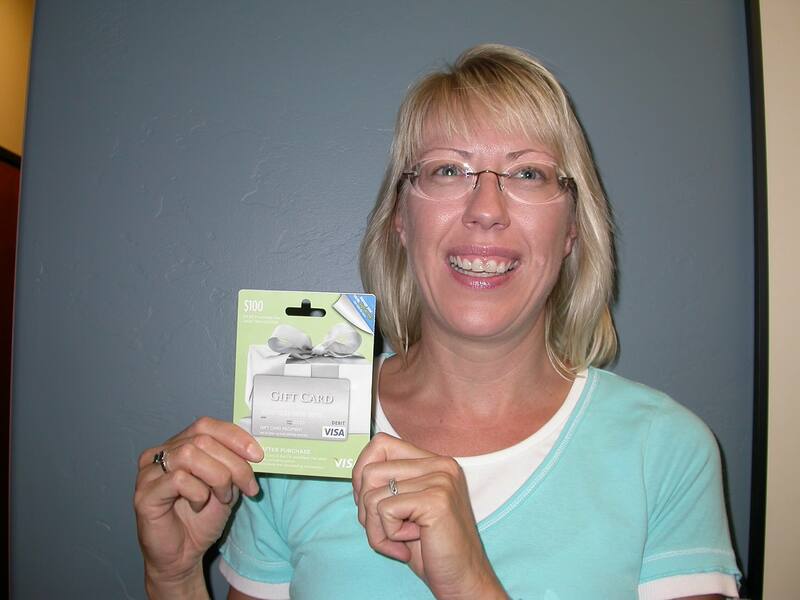 Congratulations Kimberley C. our July 2012 $100 Winner! Proper dental care can enhance both the health and appearance of your teeth and gums so that you can smile with confidence. Take advantage of the latest dental technology available by scheduling an appointment the Tucson office of Dr. John R. Carson, DDS at (520) 514-7203. If you want to learn more about some of the services and dental conditions we have discussed in our recent blogs, explore the sites below. Learn why more adults are choosing braces to enhance their smiles. Compare clear and traditional braces with this chart from Invisalign.com. Colgate.com can help you understand the causes and treatments for tooth sensitivity. Visit WebMD.com to get a closer look at the problem of chronic bad breath. See the signs of poor gum health in this article from Perio.org. Going to the dentist for regular check-ups can keep your teeth and gums in good health, but there are some issues that might warrant an extra visit to the dentist’s office for a diagnosis. Pain in teeth or gums: A sharp sensation caused by biting down or moving the tongue over the teeth is often a sign of tooth sensitivity. Typically sensitive teeth are caused by worn away enamel or a crack in the tooth that exposes the nerves within the tooth. Pain in the gum tissue can be linked to early stages of gum disease, and it is often accompanied by bleeding. Loss of a tooth or tooth injury: Sudden impact to the jaw could cause a tooth to be knocked out, chipped, or cracked. These are emergency dental situations that should be attended to right away, as the tooth can be reattached or repaired if treatment is administered early enough. Even if you can’t get to the dentist on the same day of the injury, rapid care is important for preventing infection and other complications. Bad breath: Bad breath, also known as halitosis, can be an embarrassing problem that might also signify a deeper medical issue. Gum disease is a leading cause of bad breath, but an odor might also be linked to acid reflux, dry mouth, and liver disease. Your dentist can offer solutions that will help you freshen your breath and find proper treatment for the underlying cause of bad breath. If you’ve recently experienced any of these issues, then schedule an appointment at the office of Dr. John Carson, DDS. You can reach our Tucson practice by calling (520) 514-7203 or visiting our website. If you have ever experienced a tinge of pain when eating or drinking hot or cold items, then you may be suffering from tooth sensitivity. When you have tooth sensitivity, eating or drinking certain foods can cause painful sensations in affected areas of the mouth. As this video explains, tooth sensitivity is caused by dentin exposure, which can occur due to tooth decay or receding gum tissue. When dentin is exposed, hot or cold beverages and food can send signals to the nerves in the tooth that make you feel the sensation of pain. At the office of Dr. John Carson, DDS, we can help you overcome tooth sensitivity with the latest available treatments to protect your tooth enamel from daily damage. Learn more about our services or schedule a consultation on our website or by calling (520) 514-7203. It is not uncommon for adults to need orthodontic treatment to improve the health of their smiles, but having a mouth full of metal is not ideal for professional working adults. Teens in need of braces may also desire a more cosmetically pleasing solution for orthodontics so they might avoid the hassle and embarrassment of traditional braces. No wires or brackets: Clear orthodontics work with a series of clear aligners that gently move the teeth into ideal positions. The aligners can be removed for eating and drinking, so they will not pose any restrictions on the foods you enjoy. Brushing and flossing are also unaffected by the clear orthodontic system, making it simple to maintain great oral hygiene. Cost effectiveness: A clear orthodontic system is available at a price comparable to traditional braces, but it offers so many more benefits that the cost is well worth it. If you are going to invest in orthodontic treatment, clear orthodontics are an excellent choice for crowding, spacing, overbite, and underbite issues. Nearly invisible appearance: Aside from optimal comfort for the patient, aesthetics is the biggest advantage of clear orthodontics over traditional systems. When the clear aligners are in place, no one will be able to tell that they are there from up close or far away. Plus, you will be able to see the gradual changes to the shape of your smile as the treatment progresses, which is not a possibility with standard braces. Find out more about the benefits of clear orthodontics for your smile by visiting Dr. John Carson, DDS in Tucson. Contact our dental practice today by calling (520) 514-7203 or visiting our website. We offer the most innovative treatment solutions available to maximize the health and beauty of your smile.